If you have the MPV Opel Sintra in your possession and have had an accident, for example, it may be necessary to replace the windscreen. The Opel Sintra was only in production for three years, between 1996 and 1999, and was not a resounding success in Europe. It can therefore be difficult to find the right parts for this large car. With us, however, the windscreen replacement of your Opel Sintra is not a problem at all. In addition, our rates are much more attractive compared to brand dealers. When you need to replace the car window and how you can arrange this through us, you can read in this article. In addition, we will tell you more about the history of Opel and the Opel Sintra. started producing sewing machines in his uncle's old cow shed at the time. Adam Opel's business talent soon led to great successes. From Paris, his brother supplied the necessary parts and materials to assemble the sewing machines. Important in the history of Opel is the marriage of Adam Opel to Sophie Marie Scheller. This daughter of a rich entrepreneur not only provided a financial impulse, but also played an important role within the company. Together they also had five sons. as early as 1899. However, in the early years it was mainly experimentation and the car division of the company was not very successful or profitable. This changed mainly as a result of the 60 hp model produced by Opel in 1907. This car won the Kaiserpreis and as a result Opel became the supplier of the court to the last German emperor Wilhelm II. was launched for a relatively low price. The purchase was no less than half as much as many other cars from that period. Due to the great popularity of this car among doctors, it was soon called the Doktorwagen in Germany. As an automaker, Opel grew steadily in the first decades of the 20th century. Thanks to the early introduction of mass production methods such as a production line, they gained a head start over other automakers in Germany. In addition, cars became more and more normal and more people were able to afford them. Opel's success is also reflected in its market share: no less than 37.5 percent of the cars sold in Germany in 1928 were made by Opel. Attracted by Opel's success, the US General Motors decided to acquire a large proportion of the shares. In 1929, 80 percent of the company was bought, followed by the remaining twenty percent in 1931. The Opel family earned more than 33 million dollars with this, which was a lot of money at the time. Opel's success continued under American leadership. In 1935, Opel became the first German car manufacturer to produce more than 100,000 cars a year. The factory in Rüsselsheim am Main, the birthplace of Adam Opel, also became the most productive car factory in Europe. General Motors soon owned many different car brands that were sold all over the world. This made it possible to use many parts and even complete cars with several models to reduce costs. This is also the case for Opel Sintra, which was introduced in 1996. General Motors worked a lot with universal platforms for their cars. By keeping this base the same, there was much less need to design. In Europe, the Pontiac model was offered from 1990 onwards. 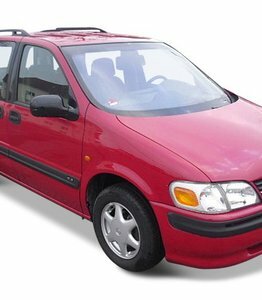 This was not a success because this MPV had a too futuristic look and was logger than many competing models. The later introduced Opel and Vauxhall Sintra are therefore considerably slimmer. However, sales of this model were disappointing. This is attributed in particular to the fact that the interior of the Opel Sintra did not meet the same high standards as other Opel models. The Opel Sintra was taken out of production in 1999 and succeeded by the successful Opel Zafira. In total, around 45,000 copies of the Opel Sintra have been sold in Europe. When should I replace my Opel Sintra windscreen? If your Opel Sintra has a single crack in the windscreen that is out of the driver's direct view, you can still use it in principle. However, replacing your Opel Sintra windscreen is quickly necessary when there is a multiple crack in the windscreen or a crack in the driver's direct view. One of the reasons for this is that sunlight and light from oncoming vehicles can reflect through the crack and cause glare. In addition, an important part of the car's stiffness depends on the windscreen. This ensures that occupants have the best possible protection in the event of an accident. A crack reduces stiffness and thus increases the risk of bodily injury. The windscreen replacement of your Opel Sintra is required if a repair of a crack is not possible. At a brand dealer, replacing the car windscreen is often a costly affair. This is because brand dealers have the exclusive right to sell car windows with a brand logo. As a result of this exclusive right, brand dealers charge higher prices than strictly necessary to replace the windscreen of an Opel Sintra. The car windows that you can buy through us are specially produced for the after market. This automotive glass is of exactly the same high quality and come from the same factory. However, the absence of a brand logo means that non-brand dealers are also allowed to sell them. The price we charge for replacing an Opel Sintra windscreen is considerably lower due to free market forces. Replacing the windscreen yourself from your Opel Sintra is certainly possible through us. Many other providers do not offer this option. If you have the knowledge to replace the windscreen of your Opel Sintra, you can easily place an order and also purchase the necessary rubbers and mouldings. We take care of the delivery quickly. It is also possible to collect the car window from one of our partners. If you prefer to outsource car window replacement, our FOCWA certified partners will be happy to assist you. They even come on location for the windscreen replacement of your Opel Sintra at a very attractive rate. Whether you replace your car window yourself or outsource it to us, in all cases you are considerably cheaper than at a brand dealer. To get back on the road quickly with your Opel Sintra, you can always count on our products and services!